Mashpee, MA (July 4, 2018) – A child playing on Wakeby Pond suffered a severe leg injury on Tuesday evening. The accident happened around 6:00 pm near Route 130. According to initial reports, the child was in a tube on the pond when the injury occurred. The child was apparently struck by a boat. A medflight helicopter was called in airlift the young victim to a hospital. However, authorities soon learned that the helicopter was too far away and instead elected to have the child transported by ambulance to Hasbro Childrens Hospital. It is not immediately clear if the was struck by the propeller or some other part of the boat. The child’s injury has been classified as serious but no further details are given at this time. The incident remains under investigation with local authorities as of Wednesday. Personal injury accidents fall under a broad spectrum. They include car, motorcycle and truck collisions. They also include accidents that occur on the water such as jet ski and boating collisions. 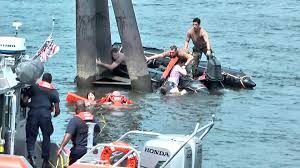 Injuries sustained from boating accidents can be serious and even lead to death in the worst cases. A boating accident, especially one with injuries, must be treated seriously. If you have been injured in a boating accident, it is important to receive the best and most prompt medical treatment you can obtain. The process of healing and recovery should begin just after the accident. Many of the same negligence laws that apply to car accidents also apply to other types of personal injury accidents. The question is negligence will be the key factor in determining whether an injured victim can recover for their injuries. In boating accident cases, it must be determined whether the boat operator was somehow negligent in causing injuries. In this case, whether the child’s injuries were sustained as the result of some negligence on behalf of the boat driver must be decided. At the Law Offices of Jeffrey S. Glassman, our injury attorneys have experience in a wide range of Massachusetts personal injury cases. If you have been hurt due to the negligence of another, please call our office today at 617-367-2900 for your free consultation with one of our Boston personal injury attorneys.